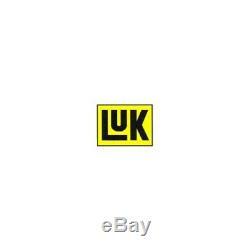 1 luk 600015600 set clutch with clutch bearing with kit bolts / screws. This product page has been automatically translated. If you have any questions, do not hesitate to contact us. 1 clutch with clutch mechanism with bolt kit / flywheel screw luk with 600015600. 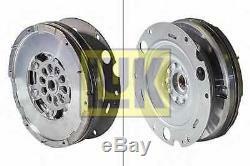 1 luk clutch kit 600015600 with clutch mechanism with bolt kit / screw with. 1 x flywheel luk 415 0344 10. Clutch kit luk 00 1 x 624 3551. Supplementary / additional information info: with mounting tool. Gear motor: for motors with flywheel kit. Supplementary / additional article info 2: with clutch mechanism. Supplementary / additional article info 2: with clutch plate. Supplementary / additional article info: with clutch cover. Supplementary / additional article info 2: with steering wheel. Supplementary / additional article info 2: with bolt / screw kit. Supplementary / additional article info 2: special tools required for installation. Supplementary / additional article info 2: steering wheel kit without hysteresis channel system. The item "1 luk 600015600 set clutch with clutch bearing with kit bolts / screws" is on sale since Saturday, October 20, 2018. It is in the category "auto, motorcycle parts, accessories \ auto \ parts \ transmission systems \ complete clutch kits ". The seller is "duepi_ricambi_auto" and is located in miranda. This item can be shipped to the following country: europe.